Richmond, Virginia resident Nakita Rowell-Stevens has been writing articles in business and entertainment since 2002. Her writing experience spans from feature coverage with local area newspapers such as "The Daily Tar Heel" and "The Richmond Free Press" to writing for ABC Television affiliates. Rowell-Stevens holds a Bachelor of Arts in journalism from the University of North Carolina at Chapel Hill. Just like people come in different shades and colors, so do your eyes. 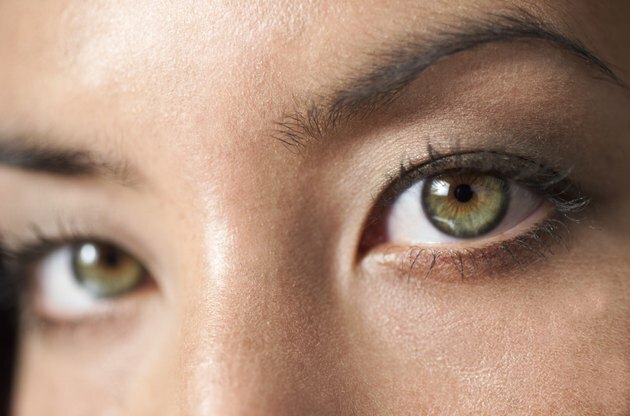 Blue, green, brown and hazel are just a sample of the different eye colors out there. Color contacts provide the ability to change up the color of your eyes whether you want to match a new ensemble or just change your overall look. When choosing the right color contacts, there are several factors to consider from the type of contact to matching the right color with your skin tone. 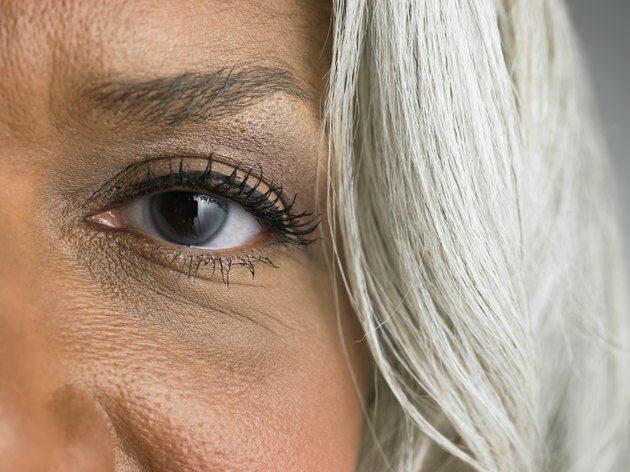 Choose color contacts that complement your skin tone for the most flattering look. Warm skin tones will have natural brown or honey hues. Avoid bright colors such as blue or green with this skin tone to avoid an artificial look. Medium skin tones range from a light olive complexion to light brown or honey. 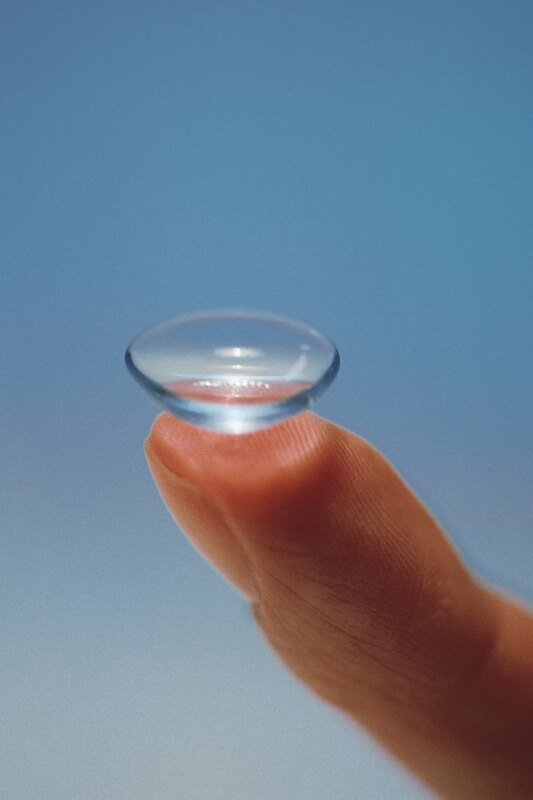 Medium skin tones provide more flexibility in color choices for contact lenses. Complementary colors for medium skin tones range from brown, hazel and honey to green, grey and even violet. Cool skin tones reflect a fair complexion. Cool skin tones are most complemented by bright eye colors for more intensity. Ideal contact lens colors for cool skin tones are blue, violet, turquoise and even hazel. 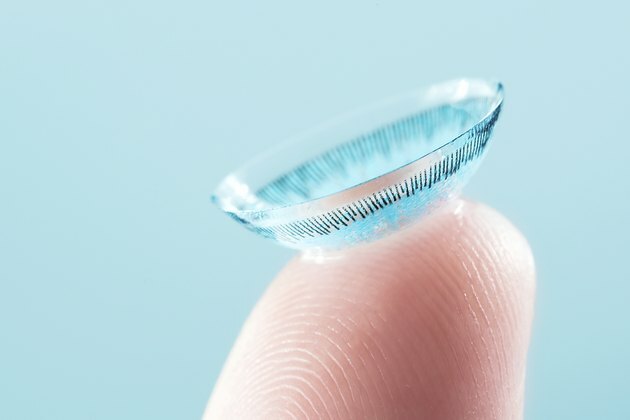 When choosing the best contact lens to match your skin tone, it is also important to know the different types of lenses available to enhance your color. Color tints change the color of your eyes completely and are typically used for a more dramatic change. For example, use a color tint if your natural eye color is brown and you want to change it to green. If you are seeking to just enhance the color of your eye without any drastic changes, enhancement tints are a great solution. Enhancement tints intensify the natural hues of your eye color.